Sweden Gives 'We Should All Be Feminists' To Every 16-Year-Old Student : The Two-Way The Swedish Women's Lobby has distributed author Chimamanda Ngozi Adichie's feminist manifesto, hoping to spark dialogue about feminism in one of the most gender-equal countries in the world. Author Chimamanda Ngozi Adichie's essay "We Should All Be Feminists" has gone out to high schoolers in Sweden. Adichie also wrote the novels Half of a Yellow Sun and Americanah. 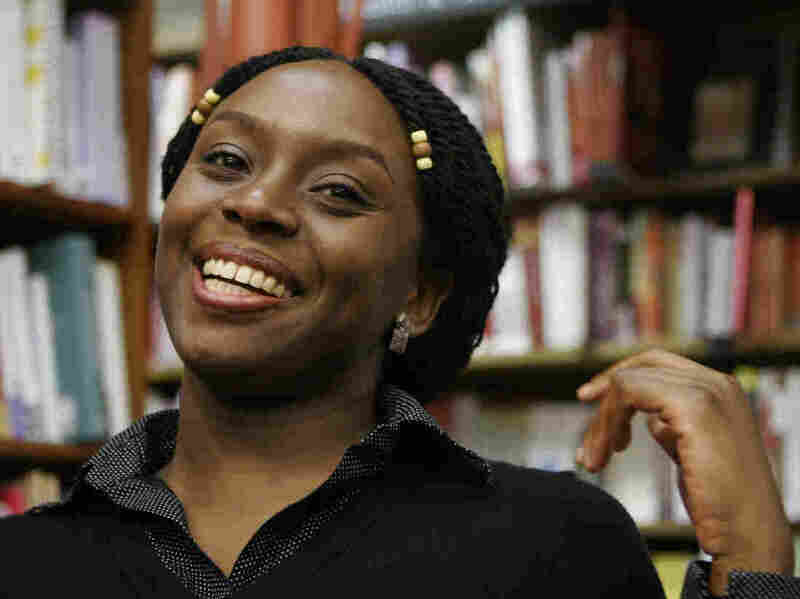 Sweden has distributed author Chimamanda Ngozi Adichie's feminist manifesto, "We Should All Be Feminists," to every 16-year-old student in the country. The Swedish Women's Lobby partnered with other groups to launch the initiative on Dec. 1, in the hopes of sparking dialogue about feminism in one of the most gender-equal countries in the world. "This is the book that I wish all of my male classmates would have read when I was 16," Clara Berglund, president of the Swedish Women's Lobby, told The Guardian. "It feels so important to contribute to this project. It is a gift to all second-grade high-school students, but it is also a gift to ourselves and future generations." The give-away was wholly uncontroversial in Sweden. To the extent that it was noticed, the initiative was met with praise. Although, one Swedish columnist offered mild criticism, writing that Swedish high school students, reared with the ideals of feminism, may find the book's contents old-fashioned. Adiche, who is from Nigeria and lives in the U.S., based the essay on her 2012 TED Talk which has been viewed more than 2 million times. Even Beyonce incorporated part of the speech into her song "Flawless." "Some people ask: 'Why the word feminist? Why not just say you are a believer in human rights, or something like that?' Because that would be dishonest. Feminism is, of course, part of human rights in general - but to choose to use the vague expression human rights is to deny the specific and particular problem of gender. It would be a way of pretending that it was not women who have, for centuries, been excluded. It would be a way of denying that the problem of gender targets women. That the problem was not about being human, but specifically about being a female human. For centuries, the world divided human beings into two groups and then proceeded to exclude and oppress one group. It is only fair that the solution to the problem acknowledge that." A previous version of this story gave an incorrect title for Chimamanda Ngozi Adichie's essay. The title is "We Should All Be Feminists," not "How To Be a Feminist."